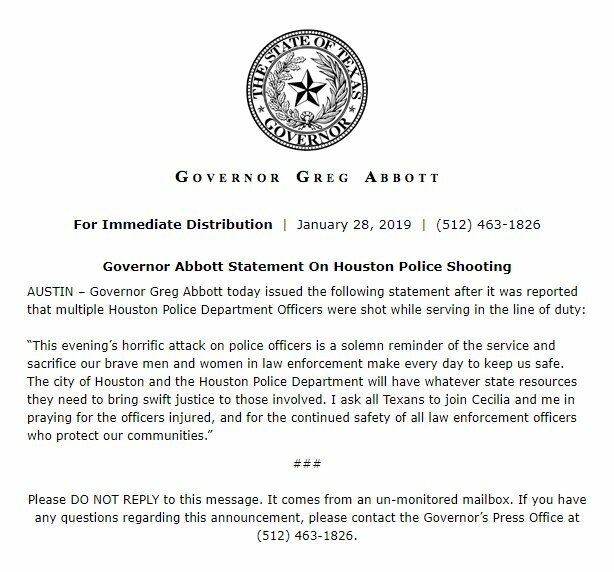 The Houston Police Department has advised that five officers were shot today on the southeast side of the city. Houston Mayor Sylvester Turner stated that one suspect was down. KTRK-TV reports that of the three suspects, two are dead (total number of suspects not confirmed by Houston PD). The officers were reportedly attempting to serve a narcotics warrant at around 5 p.m. local time when they were fired upon and hit. The incident occurred at 7815 Harding. According to Click2Houston, the residence had 3 suspects inside, one of them was dead, the other two were barricaded inside. Subsequent reports stated that one of the other suspects is now dead as well. Police asked the public to avoid the Gloverdale neighborhood and yield to emergency vehicles. 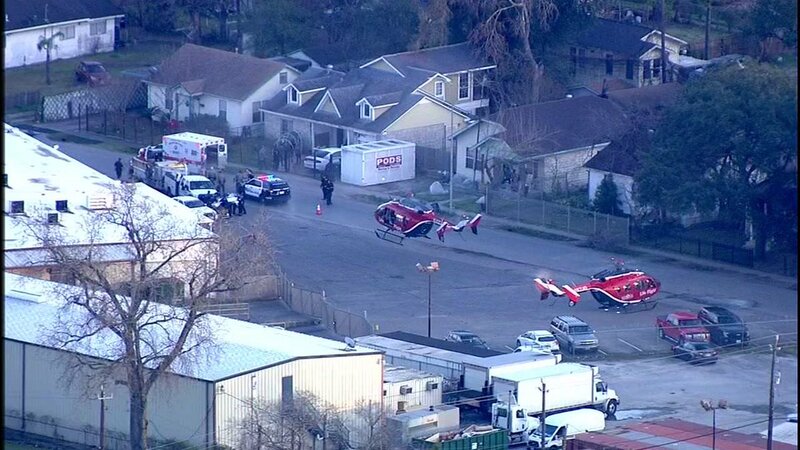 Two officers were transported by helicopter on Life Flight, the others transported by ambulance to Memorial Hermann Hospital, according to the Houston Police. The location was changed from their previous information. One was struck in the face, one in the shoulder, and one in the leg. Two others are listed in critical condition according to KHOU.